Our office manager, Gabriella, will try to accommodate your busy schedule by finding appointments that suit your needs. Walk-ins are welcome. She will also help you understand your insurance coverage. Kathy, our technician, will complete the preliminary testing, including taking your blood pressure, before Dr. Graham sees you. 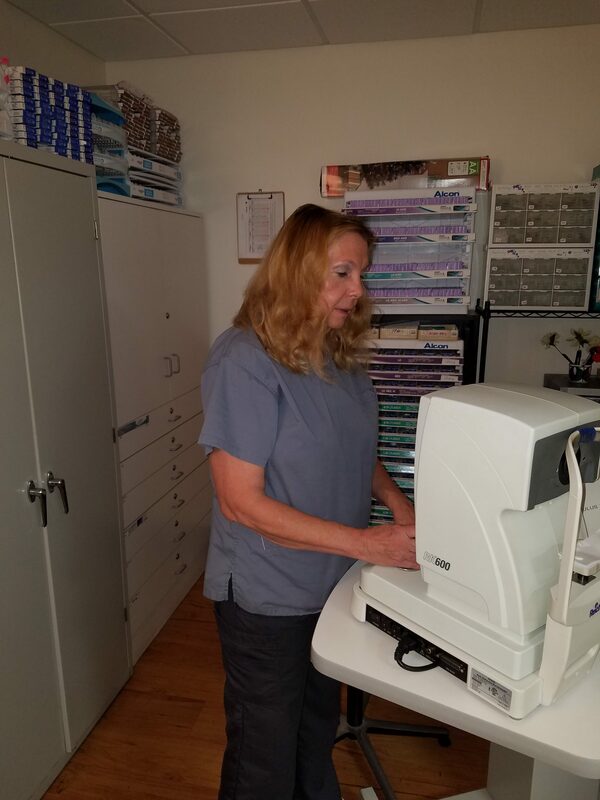 Kathy is our technician and she performs a few automated tests, vision tests, blood pressure and medical history. Kathy is educated on insurances and can answer questions regarding your coverage.